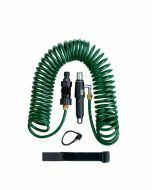 The Swop-Top pruning and cleaning system now incorporates a total of over 16 attachments offering immense flexibility. 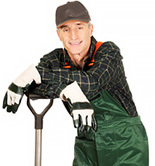 From fruit picking to pond clearing through to pruning and painting. With this handy tool all tasks can be achieved safely and from ground level. 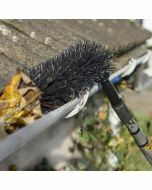 All attachments are fitted with a unique plug to fit either size lightweight aluminium telescopic pole. 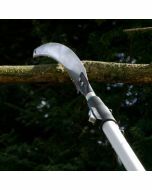 The quick-connect socket at the top of the pole allows easy attachment or removal of the tool heads. 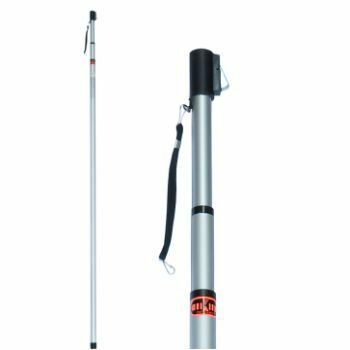 Three section pole with positive twist-lock adjustment to extend the pole, can be used at any length between the maximum and minimum sizes. 2.4m- Extends from 0.98m to 2.44m. Weighs 0.6kg. 5m - Extends from 1.8m to 5m. Weighs only 1kg.